Permit me to have a few “high school athlete” reminisces. There were a couple of occasions when as a baseball pitcher I took a no-hitter past the sixth inning (o-kay, so maybe these are Khoury league memories). A strange thing happened. Although I was having great success, I began to feel pressure. I had gotten at least 18 consecutive batters out (the entire line up twice) without giving up so much as a hit, but now I was the one feeling fearful. How crazy is that? They should have been nervous, not me. What was going on? My mindset changed. No longer was I just trying to get the next batter out, I was thinking about how to get the next nine batters out…how disappointed I would be if someone got a hit…the story in our local newspaper…putting the game ball on my shelf…how klutzy the second baseman was and the threat he posed to my accomplishment…(you get the idea). I became a streaker (don’t let you imagination get carried away) instead of a pitcher. Let us ask ourselves a few questions. (1) How does God think about our streaks? (2) Does a streak have any impact on our next choice, conversation, or temptation? (3) How can we “do good” without creating a sense of mounting pressure? First, I believe our streaks mean much more to us than they do to God. God knows our heart perfectly (Prov 24:12). We are the ones who have become deceived about our current condition as our streak advances (Jer 17:9). We are the ones who begin to believe maybe I have finally defeated sin. God knows better. God desires a heart that is seeking hard after Him (Micah 6:8). God is the one who designed sanctification (the process of spiritual maturity) to occur progressively (over a lifetime). God wants our desire to put sin to death to be constant (Rom 8:13). The believer who gets to heaven with the longest streak does not get the seat next to Jesus at the great wedding feast. Second, we must recognize that streaks do not matter as much as fundamentals (to borrow from the baseball metaphor above). Throwing strike one does not carve a groove in the air that the second pitch will follow like a tire in the rut of an old dirt road. 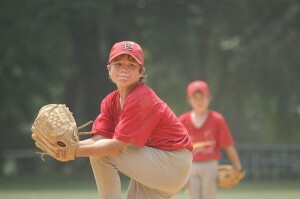 However, good pitching mechanics do allow for more consistent pitching. The application is that we must learn from every temptation (whether we overcome or succumb). A better question than “how long is my sinless streak?” is “have I learned from each temptation better ways of overcoming and am I putting these into practice?” God recognizes that wisdom and humility are more effective at grooming character than streaks (Prov 3:5-7). Third, we must recognize that we never out grow the Gospel. The Christian life is a perpetual coming to the end of ourselves and relying totally on God again (Luke 9:23-25). We don’t put the blood of Christ on lay away until we get this sin thing under control (Heb 10:14). We come to him daily, hourly, and moment-by-moment for it is only by His Spirit that we bear the fruit that uproots the works of the flesh (Gal 5:16-24). If this post was beneficial for you, then considering reading other blogs from my “Favorite Posts on Counseling Theory” post which address other facets of this subject.